Our popular and contemporary school uniform consists of a royal blue warm layer which can be either our embroidered fleece jacket, sweatshirt or sweat cardigan. This is teamed with a white polo shirt and a grey or black skirt or trousers. School shoes should be smart black, not trainers. 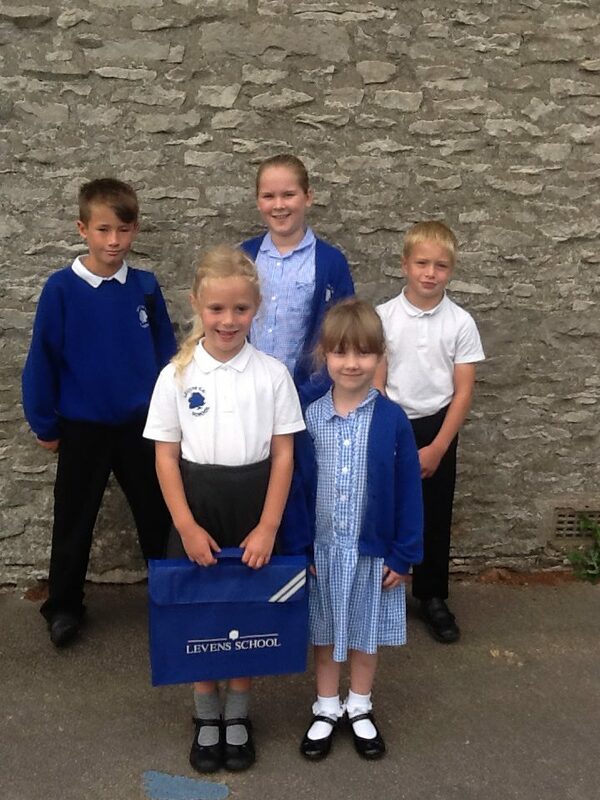 Other optional items are available via the school uniform shop, administered by Coniston Corporate Embroidery. Parents order and pay directly from Coniston Corporate Embroidery with free delivery to school. For PE, pupils need the compulsory uniform pack (bag, shorts, and t shirt), and a light blue PE hoodie, all available from our suppliers. Pupils should also have plimsolls and trainers. Children from Year 2 to Year 6 participate in weekly swimming sessions during the autumn term and full swimsuits for girls and swim trunks for boys together with a swimming hat and towel are required each Wednesday. Very importantly, please ensure that all clothing is marked clearly with your child’s name. If you wish to purchase any uniform items then please follow the link below, please be aware there might be a short delay in orders being processed so please order in good time.